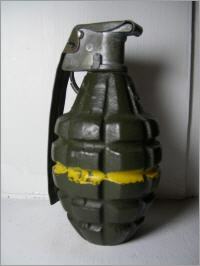 This grenade is made by FAMAE (Fábricas y Maestranzas del Ejército). 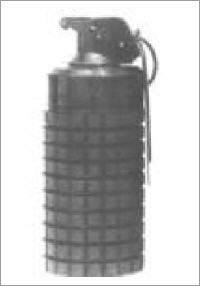 The fuze arrangement could be replaced by a small pressure plate and fuze to convert the grenade into an anti-personnel mine known as the FAMAE MAPT 78-F2. 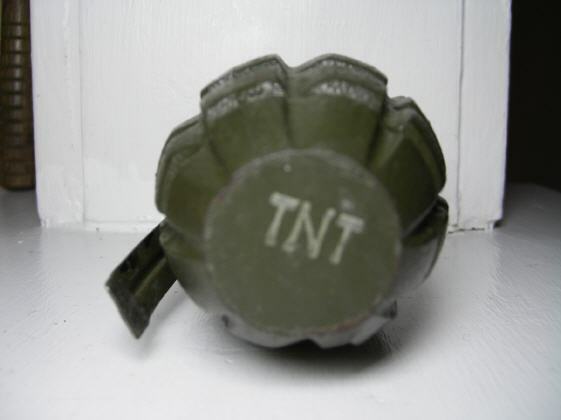 Weight : 180gram including 87gram TNT. The practice version is painted blue. The instructional version is painted yellow. 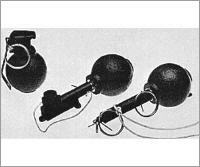 This grenade has a small hollow charge in the base. 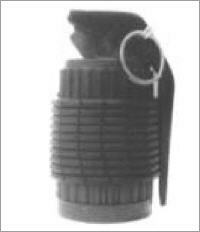 It is made by CARDOEN-METALNOR .